Corporate governance defines the responsibilities of key decision-makers within an organisation and sets the foundation for business performance. Practices and rules are customised to local conditions and expectations, with a clear linkage between good corporate governance and economic development. Historically, a lack of infrastructure, poor communication and scant guidance has hindered development and growth in Africa, but the emergence of codes and good practices in a number of African countries has led to a boost in investor confidence and there are signs of encouraging growth. The Nigerian Stock Exchange (NSE) powers the expansion of Africa’s largest economy. In 2015, it launched a new listing platform – the Premium Board – for those publicly listed companies that meet its most stringent corporate governance and listing standards. In South Africa, investors say business confidence is improving. In a recent interview with MoneyWeb, Investec’s Chris Freund said the arrival of President Cyril Ramaphosa, in office since February, has spurred optimism among stock traders who are already noting changes in Africa’s most industrialised market. He believes corporate governance has a ‘much higher importance now than it did a year ago, essentially because people have had a very vivid example of how much damage bad corporate governance can do’. In the Middle East, business leaders also stress the role of corporate governance in maintaining the highest standards of ethical conduct and promoting commitment to effective oversight, leadership and reporting. The key message at the inaugural Governance in Focus forum, which took place in Riyadh in April, was that collaboration between private sectors and government is fundamental to boosting corporate governance frameworks and enhancing the region’s economic growth. Discussions at the forum highlighted the changing expectations of investors and the actions required of regional companies to adopt effective environmental, social and governance practices to boost investment opportunities. 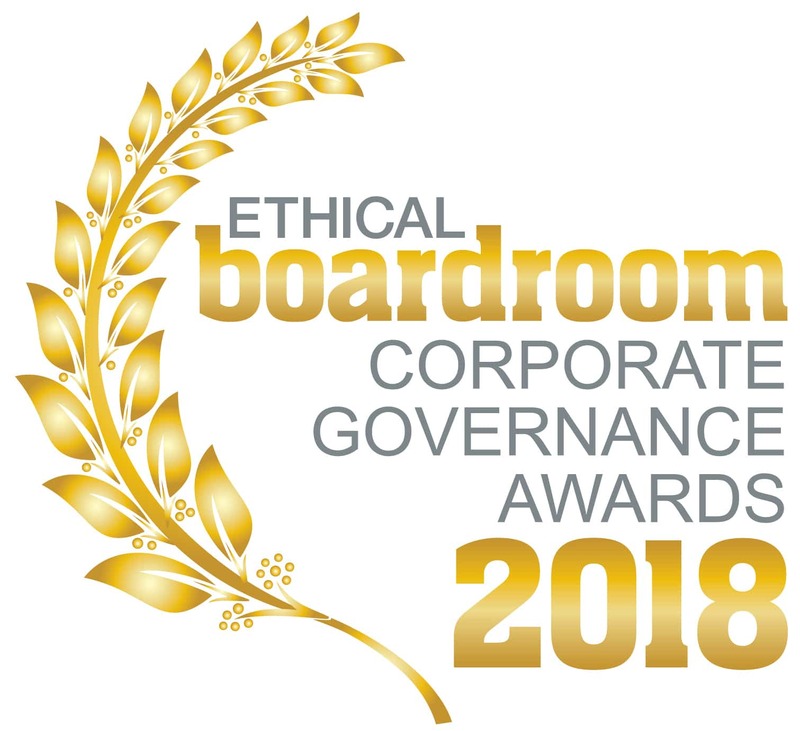 Ethical Boardroom is proud to announce the winners of “Best Corporate Governance” in their respective industry sectors across the Middle East & Africa for 2018. The awards recognise the outstanding leadership from boards of public companies who have raised the bar to ensure that strong corporate governance plays an essential part in protecting and enhancing long-term value for all stakeholders. Our awards program is a vital part of our continuing mission to elevate corporate governance standards globally. Please note that the winners for “The Americas” region will be announced in the Summer 2018 edition.